A number of people to include disgruntled insiders of the government cabinet have become very uncomfortable with the contents of a video interview done by Government Minister Dr. Collin McIntyre. During the video interview Minister Collin McIntyre who is a veterinarian by profession declared that in the matter involving the passing of Eena Lerna, a Russian Citizen and the woman behind the infamous 8 Copthall Roseau Valley operation , minister McIntyre single-handedly performed the roles of pathologist, undertaker , priest, caretaker and investigator. Only in a country where the corruption is rampant that reprobate politicians in office can trample upon protocol and the rule of law and get away with all kinds of reckless behavior. Dr. McIntyre’s video interview did make a few rounds on social media however it appears that with the excessive rambling by McIntyre and the post Maria anxieties many may have overlooked some perplexing portions of the interview. Here is another chance to scrutinize the bizarre interview. Minister McIntyre dedicated a sizeable part of his interview recounting his experience before and after the death of his friend Eana Lerna. Note well that McIntyre very much wanted to establish credibility and so before he gave a full account of Eana's story he conveniently stated and placed on the record the words“and that's a True Story.” Unless Dr. McIntyre has a penchant for lying like Roosevelt Skerrit or his domestic footstool Tony the devil himself, we found it very intriguing that Dr. McIntyre was particularly interested in insuring that people understand that this one part of his overall hurricane Maria experience was indeed "a true story." According to Dr. McIntyre, he met his friend Eana Lerna in good spirits on the day before her passing. There was no indication that Eana was in distress. She invited him to have a drink which he declined and then Eana offered him a bottle of wine. We know that unlike the majority of people on the island Eana was ok- she had her power generators, refrigerators and relatively comfortable.Now granted humans do die of natural causes and at times suddenly. Also there were confirmed reports of people afflicted by post-traumatic stress however the wow moment in the interview came when Dr. McIntyre said that the day after he met and interacted with Eana he received a call from an associate or family with the person saying “Eana” and Dr. McIntyre’s immediate response was “She Died?” We found it very strange that Dr. McIntyre did not ask for example - what happen is she ok?, Is she trying to reach me? – Dr. McIntyre may want to clarify this part of his interview because some people rightly so are uncomfortable. Will somebody please ask Tony what does he think about this interview by his Corboss Dr Collin McItyre. Dr. McIntyre went on to explain his course of action after that phone call. According to the veterinarian minister he pronounced her dead then he went on to perform the duty of undertaker and followed that up with burial coordinator and director. With a subtle arrogance and narcissism Dr. McIntyre can also be heard saying during the interview "I was the priest." (Here goes father Thomas' job). 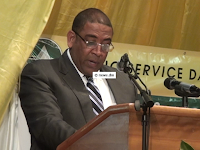 Verily Collin McIntyre an accomplice in the garbage Bin Bobol is simply displaying the despotism that have been nurtured by the Roosevelt Skerrit administration in Dominica - the repugnant arrogance and the repulsive attitude of ultimate entitlement. Just imagine the man’s multitasking capability when he is performing his veterinarian duties on Tony’s Bird. In as much as Dr. McIntyre either deliberately or subliminally contorted the time Eana died, we know that Eana died nine days after hurricane Maria. We find it unacceptable that instead of calling a medical practitioner McIntyre the veterinarian took it upon himself to pronounce a human being dead. It is also astounding that the veterinarian and minister of government did not see it fit to call the police. If anybody owed Eana and her family such courtesy it would be Dr. McIntyre. In addition Dr. McIntyre claimed that at the time he decided to burry Eana’s remains a backhoe was coincidentally doing some work for “them “(note the arrogance ) in the nearby river and so he ask the equipment operator to dig a hole to burry Eana’s remain. Our reliable information reveals that equipment was on its way to the valley and was called in to dig that hole. We expect the apologists to attribute McIntyre’s uncanny behavior to the chaos that followed hurricane Maria. In spite of the hurricane Maria disaster and the chaos that ensued we are a nation of laws. As a minister of government Dr. McIntyre owe the people even a higher level of responsibility and civic duty. In a truly civilized society the police would want to have a sit down with Dr. McIntyre on the events surrounding the death and burial of the Russian Citizen, Eana Lerna. In fact the Russian government could at some point express interest in the circumstances surrounding the death of their citizen in Dominica. It is only logical that some people may be asking who was Eana Lerna. One year ago MiTC posted an article “Nightmare on 8 Copthall Roseau Valley.” In this article we reveal that 8 Copthall Roseau Valley is essentially an operation in Dominica providing a platform and haven for Russian, Asian and other Eastern European cartels to operate. A simple Google search of 8 Copthall Roseau will arouse great curiosity – how the heck could Dominica get so entangled in such high level of underworld activities. Eana Lerna was a Russia citizen who ran and operated the 8 Copthall Roseau Valley operations in Dominica. In addition to registering these mafia syndicates in Dominica's offshore business sector ,she was also a major passport selling agent operating a company called CCP – Caribbean Citizenship Program and targeted the Russian passport market. Eana Lerna was a close affiliate of the Roosevelt Skerrit in government operatives. 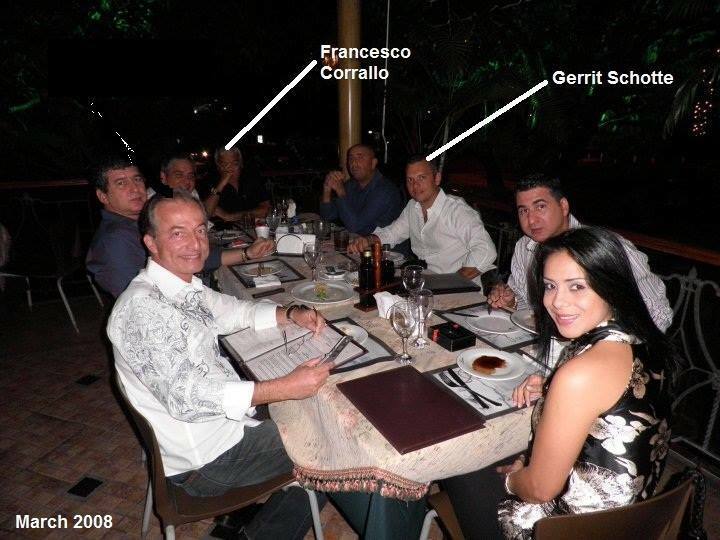 We are aware that PM Roosevelt Skerrit’s questionable diplomatic passport relationship with Francesco Corallo began when Eana and her husband introduced PM Skerrit to Francesco Corallo. We are also aware that it was through the 8 Copthall and Corallo connection that PM Skerrit became affiliated and jet gallivanted with the disgraced and imprisoned former prime minster of Curacao Gerrit Schotte. We are also very much aware of alleged arrangements involving 8 Copthall, Corallo, former PM of Curacao Gerrit Schotte and a particular property in Monaco but we will not delve into that. We also sincerely hope that PM Skerrit's past visits to Monaco will finally bring some results in the form of relief for Dominica. In our article Nightmare on 8 Copthall Roseau Valley we emphasized that Collin McIntyre had an extraordinary relationship with the decease Eana Lerna. On several occasions we spotted Collin McIntyre hanging out at 8 Copthall sometimes at 1 and 2 O'clock in the morning. It may be that the e farm animals at 8 Copthall needed the attention of the vet at wee hours of the morning. We have not seen an attempt by Tony to defend Skerrit and McIntyre's connection with the infamous 8 Copthall however we can only assume that MiTC may have brought Tony some solace in the fact that MiTC has confirmed that during some wee morning hours the vet was definitely not attending to a domestic bird- Attaboy Tony, good for you!!. Another jaw dropping moment in Dr. Collin McIntyre’s interview came at the point at which he went off on a passionate rant about exhuming Eana’s corpse in 4-5 months and placing her remains in his own designated private burial plot. We understand that Dr. McIntyre spent many “pwen de jour” in Eana’s company but why would Collin McIntyre want to go to this trouble and who is he trying to impress? In comparison Dr. Darroux had to spot bury his own relatives who succumbed to the raging landslides during Tropical storm Erika yet Dr. Darroux did not nor has not expressed any interest in exhuming his relatives corpse. We are asking the people in the valley to keep their eyes and nose open during the month of February, let’s see if Dr. Collin McIntyre stay true to his habitual empty promises and deception. More importantly keep your ears open to the whispers of land deals and resorts. 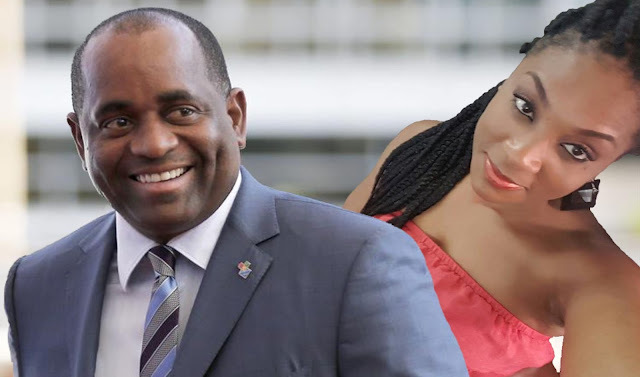 When we reported on the 8 Copthall Roseau Valley operations some of the Roosevelt Skerrit apologists (definitely not Tony) took us to task – they said that we were issuing false propaganda against Dr. McIntyre but in this video interview Dr. McIntyre is confirming he had an extra ordinary relationship with Eana Lerna. MiTC can confirm that Dr. Collin McIntyre was not just closely associated with the decease operator of 8 Copthall Roseau Valley, it is now alleged that he is now actively involved in a joint venture with Eana’s living husband another Russian individual operating out of Saint Martin. Notice in the interview that McIntyre confirmed our report that Eana's was essentially separated from her husband. he stated " her husband wasn't on the island off course" The husband has been running his own "show" in Saint Martin for many years. 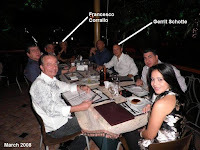 It is alleged was also a close friend of Francesco Corallo. Our disgruntled cabinet sources have confirmed that Eana’s husband together with Dr. Collin McIntyre and one other minister have setup a passport selling joint venture in order to build a resort in the Valley area. We can also confirm that the joint venture is in the process of purchasing the land from Collin McIntyre himself and one of his crony. Is Collin McIntyre using our passports to purchase land from himself so that he and his partners can build and own a resort in the valley area? what a way to stick it to the people while they are fast asleep on labor Party red opioid. Our sources have also told us that immediately after Eana’s death Collin McIntyre had been removing items out of the 8 Copthall property and that angered Eana’s friend at the house. In fact it is alleged that Eana’s friend, another Caucasian woman, was so upset that she threatened to burn down the house if Collin McIntyre return to remove any more items from Eana’s house. We have also learned that since the raucous Eana’s husband has since intervened and has assigned Eana’s properties to Collin McIntyre. We understand that according to the deal Collin was given the fusion restaurant/fusion garden in the city of Roseau and the items within 8 Copthall which were valued at over $500, 000. Now if Collin does not exhume Eana’s corpse ebeh Collins ca la egwa. From a humanitarian stand point we regret the passing of Eana Lerna however we hope that now that she is no longer with us that this 8 Copthall Roseau Valley operation that the government seemed afraid to control and regulate will no longer be another major source of international shame and embarrassment to Dominica , much like our many absconding diplomats. As for Dr.Collin McIntyre and his “foot in mouth” video interview, words have consequences.